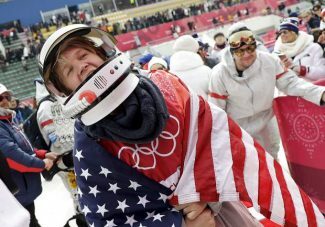 ASPEN, Colo. — The 17-year-old kid from California is going to the Winter Olympics with Shaun White. This time, it’s as White’s invited guest. Four years from now, Toby Miller might be the snowboarder everyone’s chasing. 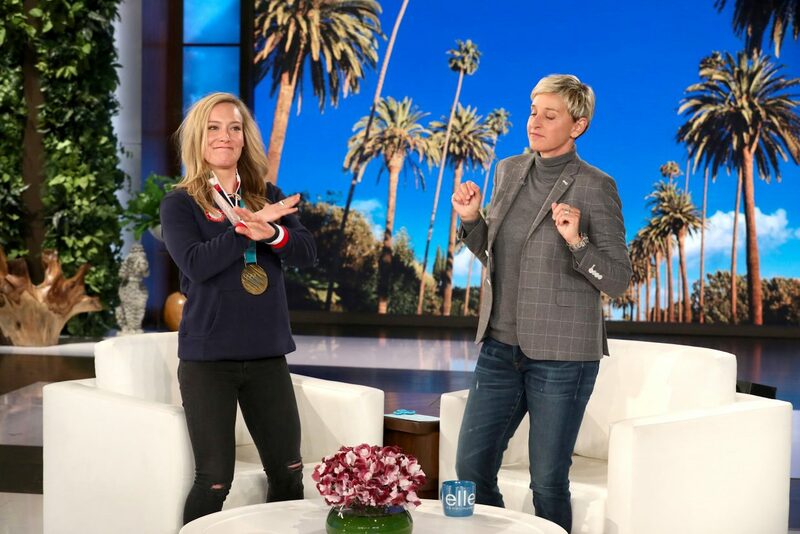 Miller has struck up a friendship with the two-time Olympic gold medalist, and has had the chance to learn lessons from the greatest — about everything from playing video games to working on Yolo Flips and Double McTwists on the training halfpipes they share. 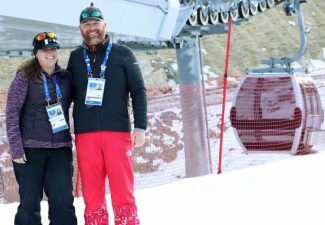 Miller was on his way to Canada for some riding this week but diverted to Aspen and the Winter X Games at the last minute when he was told he would be an alternate. A spot came open because — who else? — White had dropped out to rest up for the Olympics. At a training session in front of a big crowd Saturday night, Miller landed the Yolo Flip — the 1440-degree spin that helped Swiss rider Iouri Podladtchikov win the 2014 Sochi Games and stands out as the toughest trick on the halfpipe. He is rapidly showing he belongs on that halfpipe , and if his mastery of the tricks doesn’t tell the story, White certainly does. The man who actually started Miller on this path: Santa Claus, who gave him his first snowboard at age 6. 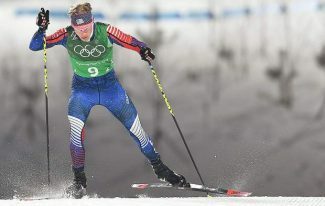 Miller took to it right away, and the family moved from Southern California to Lake Tahoe when he was 8, so he would have better access to the mountains. Since then, Miller has steadily progressed, winning halfpipe contests at pretty much every level and eventually catching the eye of Red Bull, one of a handful of sponsors with a knack for identifying The Next Big Thing in snowboarding. Also helping Miller is his talent in producing his own snowboarding videos. He’s populating his own YouTube site with cool footage of his riding. White has a pretty good eye for talent, too, and Miller’s connection with the world’s best-known rider was a matter of right-place-right-time. Miller was involved in a program with White’s coach at the time, Bud Keene, and Keene introduced Miller to White. The two bonded quickly and started training together. It used to be Miller linking onto White’s halfpipe sessions to get in his own runs. Last summer, the dynamic changed. It was Miller who had access to a halfpipe in Mount Hood, Oregon, thanks to a hookup from Red Bull. Through all this time together, White has seen something special in Miller’s audacity — he’s unafraid, and seemingly always a step ahead of riders his age when it comes to progressing his tricks. In addition to the Yolo Flip, Miller has been working on the trick White patented, the Double McTwist 1260, a half-blind double cork that few riders even try. Miller’s next stage will be taking the big tricks and linking them with the smaller ones to put together winning runs at the highest level. It could be at the Winter X Games, or at the Beijing Olympics in 2022, or somewhere in between. 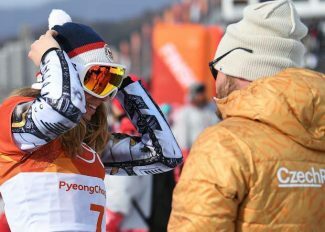 This year, though, Miller will be heading to South Korea, having fun and taking notes as White goes for his third Olympic gold. “Someone always asks me, ‘Do you want to beat him? Are you trying to beat him?’ I never thought about beating him,” Miller said. “My dream is for us to get on the podium together. It would be so surreal.